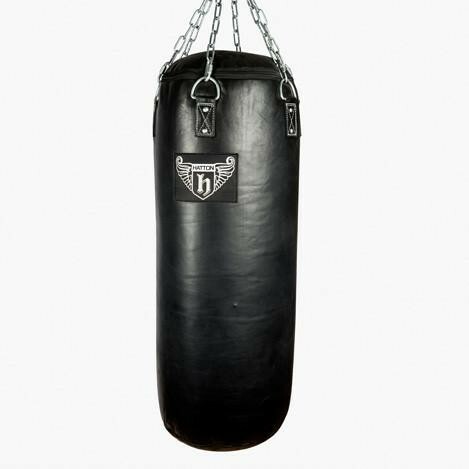 Build punching power with a Hatton Heavy Duty Punch Bag. Made from 100% dyed quality leather and filled with a unique type of bag fill exclusive to Hatton Boxing, the Heavy Bags are hand stitched for superior quality and lasting durability. Each bag comes complete with a six hook chain to ensure maximum safety and support.